Book 1 covers: treble and bass clef note names; basic note values including dotted notes; tied notes, and rests; accidentals; half and whole steps; key signatures and major scales; degrees of the scale; intervals; tonic triads; basic time signatures and basic rules of music writing. 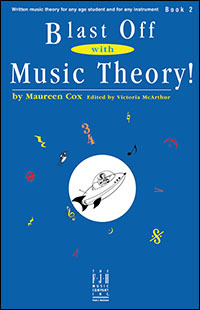 Also included is a music dictionary and list of music symbols. The second book in this series covers the following: key signatures and major scales (through 3 sharps and flats); key signatures and minor scales (through 1 sharp and flat); sixteenth notes and rests; triplets; tonic triads (through 3 sharps and flats); time signatures of 2/2 and 3/8; and more. Book 3 continues with concepts such as relative major and minor, inverted triads, simple and compound time, transposition, ledger line notes, and the phrase. 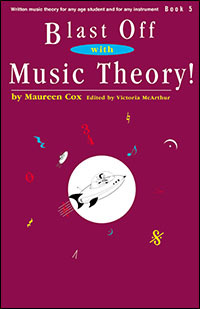 Building on the concepts presented in the first three books, Book 4 explores double sharps and flats, duplets and triplets, thirty-second notes, augmented and diminished intervals and triads, melodic ornaments, and more. Includes: pentatonic and whole tone scales, alto and tenor clefs, orchestral instruments, 64th notes, double-dotted notes, plagal and authentic cadences, and more.